A young refugee from Afghanistan who has been living with a surrogate family in the UK for nine months, is at risk of being removed from the country on Thursday morning. Hamed fled Afghanistan after experiencing unimaginable trauma at the hands of the Taliban. While attending his regular sign in session at the local police station last Tuesday 28th June, he was suddenly ambushed and taken into detention. Sophie first met the 21-year-old last year in the Calais ‘Jungle’ camp, when she was volunteering as a medical assistant. She said: “In September he tried to get a train from the jungle in Calais to visit us in the UK, but he got on the wrong train to Holland. “When he got off the train the police said they needed his fingerprints to check he was not wanted by Europol or Interpol and they said if you’re not a criminal or wanted you can go. Hamed who is currently at HM Prison The Verne detention centre in Weymouth, has a previous history of self-harming and suffers from post trauma stress disorder. Instead a GP who admitted to not being qualified to carry out a psychological test was called. “He is having nightmare and flashbacks already and is a very young 21 year old. “The detention center were instructed by his solicitor to give him the assessment and they have a duty of care…it’s shocking. He is definitely entitled to medical care while he is under the British Government. For the past nine months, Hamed had been settled in the UK, learning English and fully embracing his new life. Sophie said: “Fortunately we are lucky financially, so Hamed has never lived off the government. We have fully supported him and given him pocket money. We paid for English lessons and private tutoring, so it’s costing the government more money keeping him in detention than living with us. “He has a good support system here and has friends, I have three younger children, which he has bonded incredibly well with and I don’t understand they want to send him back for what reason. “My one-year-old son Noah is always asking after him: “‘Where’s La La”‘, which is Farsi for big brother. Hamed was there when he took his first steps and started feeding himself with a spoon, they have bonded really well. Hamed younger brother, Wahid aged 12, and 14-year-old cousin, are still living in the ‘Jungle’ camp as unaccompanied minors. Although they have an aunt in the UK, there is not enough room at the home where she is currently living with her own children. “We’ve been trying to get their papers processed, but it’s taking a time. If Hamad is taken to Holland, then the kids haven’t got a hell of chance of coming to the UK. Since his forced removal is happening without time for a solicitor to prepare his case, Sophie is extremely worried about his safety if Hamed is sent back to Kabul. “A lawyer will be waiting as soon as the flight lands in Amsterdam tomorrow. I have bought one way ticket, and will fight for him to get sent back to the UK. “If he gets sent to Holland and then hangs himself the following morning, then I won’t be able to live with myself. 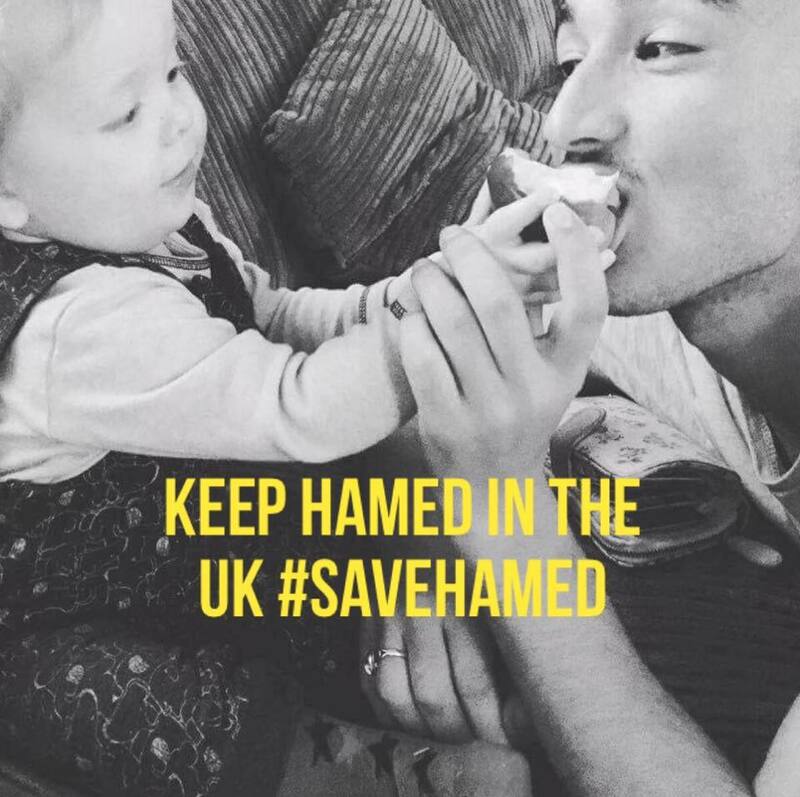 A petition has been launched to stop Hamed’s deportation. At the time of writing, it has received 14,221 signatures. Sophie and other campaigners have also emailed Easyjet urging the British low-cost airline carrier not to let Hamed board his 8am flight tomorrow morning. The email reads: “Fancy an escape? Try fleeing war and violence your country only to be deported from a the UK where you have found relative safety for 9 months. Please refuse to fly Mohammed Hamed to Holland on 07/07/16 @ 8am. HO Ref: T3019598, Flight No: U28871. « What kind of legacy do you want to leave behind?